The easiest butternut squash soup you’ll ever make – still silky, slightly sweet and full of flavor. This has got to be the easiest butternut squash soup recipe ever. You start with pre-cut squash from the supermarket, then you basically throw everything in a pot, simmer it, purée it and you’re done. It’s still everything you expect a classic butternut squash soup to be: silky, slightly sweet and full of flavor. Just don’t be tempted to omit the heavy cream — it’s the only fat in the whole soup and, without it, the recipe won’t work. 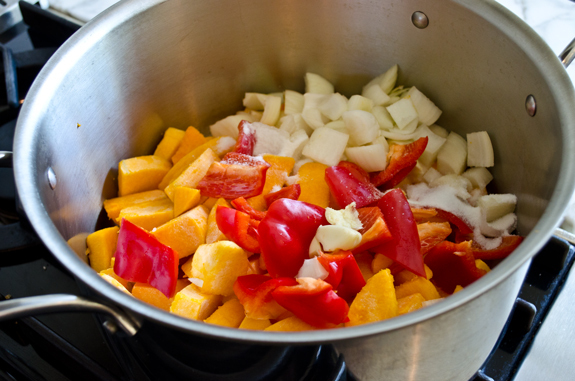 Begin by tossing all of the vegetables, salt, and sugar into a large soup pot. Reduce the heat, cover and simmer until the vegetables are very tender, about 35 minutes. Purée the soup with a hand-held immersion blender (or in a standard blender) until silky-smooth. Stir until combined, then taste and adjust seasoning if necessary. That’s all there is to it. Ladle the soup into bowls, garnish with thyme and croutons, and enjoy! 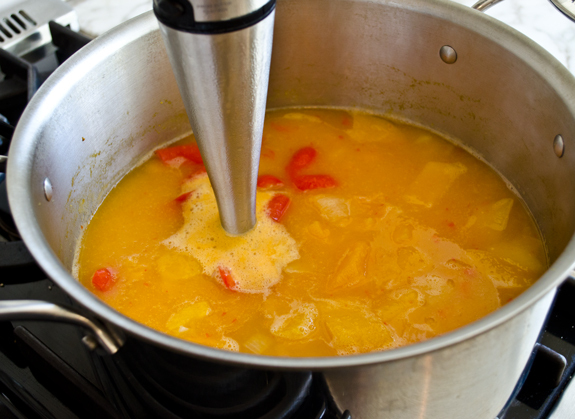 Using a hand-held immersion blender, purée the soup until silky smooth. (Alternatively, cool the soup slightly, then purée in a blender in batches, making sure to leave the hole in the lid open to allow the steam to escape.) Stir in the heavy cream and bring to a simmer. Taste and adjust seasoning (depending on the sweetness of the vegetables, you may need up to a tablespoon more sugar). Ladle the soup into bowls and garnish with croutons and thyme, if desired. Freezer-Friendly Instructions: The soup can be frozen, without the cream, for up to 3 months. Defrost the soup in the refrigerator for 12 hours and then reheat it on the stovetop over medium heat until hot. Once heated through, add the cream and bring to a simmer before serving. For the freezer friendly version is there a reason why the cream can only be added after it’s thawed? Hi Vanessa, I just prefer to add the cream when defrosting it because dairy doesn’t freeze that well. That said, if you’ve already added the cream and are freezing leftovers, it should be totally fine as there is only 1/2 cup of cream. Hope that clarifies! I made this soup today. Didn’t have a red pepper, so I added sweet potatoes and carrots. Instead of 7 cups of water, I used 4 cups of chicken broth and 2 cups of water. Then I took 2 cups of the liquid off the top, added cream and curry powder. So Yummy!! After trying more complicated recipes, this is my “go to” recipe for butternut squash soup. Quite easy as the recipe indicates and delicious. The immersion blender is so handy here. I buy the cut up squash in cubes and save some time prepping this dish. Definitely worth a try. Great soup for a chilly fall evening. I added a little pumpkin pie spice and a pinch of dried rosemary to provide a little for fall flavor. This is incredibly simple to make yet has a rich, depth of flavor. My mother loves butternut squash, and this recipe seems so easy I can’t wait to try it. My only question is how long does it keep if I wanted to make a larger batch? Does it freeze well? This soup is wonderful! I did use half chicken broth and half water instead of all water. Other than that I followed the recipe exactly as written. Can I add coconut milk instead of cream? I am making this a a vegan soup. Yes, that will work (just make sure it’s full fat). Hope you enjoy! I used chicken bouillon instead of water and still I found it lacking in flavour. This is a no for me. Definitely added a (1) red bell pepper and garlic (at least 5 cloves. Im a garlic hog), mind u, u can never taste the extra garlic!) Its just super yummy. This recipe is very yummy!!!!! Plus, just give the extra TLC if youre a good cook. You know exactly who you are. Xoxo. Eat great and love big. So easy to make. I added half an apple and a few carrots and found it didn’t need any sugar at all. I only had natural yogurt at hand, and used it instead of the cream. Added a teaspoon of grated coriander and ginger. My 5 year old is busy working through her second bowl. Deeelicious! Thank you! This recipe in delicious and so easy to make. I served it at two dinner parties and many people asked for the recipe. It is a keeper! My family loved this soup and it was so easy to make. I used precut butternut squash. I think the red bell pepper added the extra zing for this recipe. It is definitely a keeper. This year, our daughter who is finishing up her Physical Therapist Degree and the busy mom of a 6 year old. requested dinners for her birthday gift. So this was one of soups/stews I prepared for her. She loved it! So did my husband and I. This soup is super easy and SUPER good! I did cut back on the salt and sugar. After reading some of the other reviews I can’t wait to try goat cheese instead of the cream next time. Thanks for sharing your wonderful, easy recipes. Jen I want to make this soup but I don’t have any yellow onions in my pantry, I only have Vidalia onions. Will it change the taste of the soup? I really don’t want to go out to the store—it’s cold!!! I love this recipe! It was easy to follow and included minimal ingredients. I followed the directions and think it tastes great! I added a little extra cream and some black pepper for taste. My only issue was that it’s a little thin, so next time I will use less water. I recommend only 6 cups. Other than that, I will definitely make again! Followed recipe exactly as written but added 3/4t black pepper. Absolutely love this!!! As I started to build this soup, I immediately saw an opportunity to do something a bit different with it. I read some of the reviews and was concerned it may come out too bland. Plus, I’ve recently become a fan of some of the traditional flavors found in Indian food (no ‘heat’ added though). My wife asked me not to make butternut squash soup because she doesn’t like it. I made it anyway and she said it’s the best butternut squash soup she’s ever had and even went back for seconds. Thank you Jenn, for sharing! thank you so much for the modification. It was amazing! I’m putting this in my permanent recipe collection. It in my Instant Pot two days ago, 20 minutes cook time, and it turned out great. All of your resipies are family friendly. I have shared them with friends and family. This is now my “go-to” recipe for Butternut Squash Soup. Although heavy cream would have made it delicious and, well, creamier, I had to go with 1/2 & 1/2 to reduce fat content. I felt like it needed a little zing so I added nutmeg and then the family was happy with it. Thanks for another good recipe! I love the ease of making this soup. I added 1 T of Thai curry sauce..either red or green to give a more complex flavor. Then almonds toasted for a topping. Yum. Can this soup be frozen with the heavy cream? It’s best to freeze it before adding the heavy cream; when you reheat it, you can add the cream. This is delicately flavored ( lovely with a few stripped sprigs of fresh thyme),but I am wondering if I could give it a little more body with a beurre manie, or would that change the flavor too much ( does it leave a raw flour taste? )- I have not thickened with anything but roux in the past. Thanks! Hi Astrid, I think that would work; just go easy and simmer it for at least 10 min after you add it. Please lmk how it turns out. After it was finished, I poured it into the electric pressure cooker on keep warm mode, and we dipped into it all day long until dinner was ready. Thank you for the recipe! Can’t wait to receive your cookbook in April. Hello, I am dairy free for 28 days, have you ever tried coconut creme in lieu of heavy creme? Thank You, Happy Thanksgiving. Hi Bo, I haven’t tried it but other readers have said it works. Please come back and lmk how it turns out if you try it that way. Hello: I wanted to make this soup 3 days before Thanksgiving. After cooking, Will it stay in the refrigerator for 3 days, or do I have to freeze it without adding the Heavy Cream, then add it the day of. Hi Frances, It should be fine for three days in the fridge. Enjoy! Thanks Jen. I’ve made quite a few different versions of this soup and I must say, this is the very best tasting by far. I am sure my guests will agree also. I added a carrot, and used unsalted chicken broth in place of the water. Because my husband cannot have salt in his diet, I learned to cook without the salt. This is so hearty and tasty, and definitely comforting. Thanks again, and Happy Thanksgiving! Amazing! I added cinnamon and some curry powder and balanced it out nicely! This was a delicious recipe but the high sodium content makes me cautious. Is there a way to make a lower sodium option? Hi Patrick, glad you liked it! There’s a tablespoon of salt in this recipe which definitely boosts the sodium; feel free to cut back as needed. Has anyone ever tried adding apples to the recipe? I loved the simplicity of this soup, and it was pretty good. However, I felt it was somewhat bland. I added about one tablespoon of fish sauce along with the cream at the end, and that really took it up a notch. Butternut sounds wonderful except 1191 sodium, yikes. We watch our intake and that’s plain scary. How to adjust salt would be helpful. Hi Victoria, There’s a tablespoon of salt in this recipe; feel free to cut back as needed. Gosh, there are so many different measurements out there for sodium content. I use Penzeys Kosher Flake Salt (280mg sodium/.25 tsp, as noted on pkg. ), for salt flavor with lower sodium content due to size of salt flakes. At that rate, 6-8 servings of this soup would clock out at 560 mg – 420mg of sodium per serving, based *only* on the 1T of Penzeys salt used. It doesn’t factor in added sodium in dairy or vegetables, however. YMMV, though, based on *type* of salt used. Great recipe! I’ve been searching for the perfect butternut squash recipe…but so many of them have apples in them, and that combination just doesn’t work for me. But I found this recipe absolutely perfect! The only changes I made were to omit the sugar (it was plenty sweet) and I think I added more like 3/4c of heavy cream because that was what I had as leftovers from another recipe. A definite keeper!!! My husband and I loved this soup! I did add some chicken broth instead of all water and added a dash of cayenne pepper and dash of dried thyme. I make this recipe often- always a hit. I’ve even tried swapping out the dairy cream for coconut cream to make it vegan to accommodate my sister- still just as good!! I also cut up an apple and throw it in when the veggies are cooking just for some extra depth of flavor. This recipe always gets tons of compliments from anyone I make it for!! I make your Butternut Squash soup all the time. I’ve subbed cream cheese for cream if I don’t have any and I’ve also used goat cheese if I need a non-cow dairy version. Always delicious! Goat cheese lover here who is excited about this iteration! Really enjoyed this soup! I’ve been looking for a simple savory recipe that celebrates the vegetables, and this hit the mark. Very satisfying and comforting. Many butternut squash soup recipes are too sweet. I Followed the ingredients and directions exactly, except halved the sugar. Thank You! Where does all the sodium come from?? There’s quite a bit of salt in this recipe, Mary Kay. Feel free to cut back as needed. I love this soup and alter by using chicken stock instead of water, add sage and chili pepper flakes to spice it up. So easy and delicious! Awesome soup! Super easy & incredibly flavourful. I didn’t have pre-cut squash so added 8 cups & everything else exactly the same….delicious!!!! This soup is fantastic. I don’t come from a family of soup eaters, but I get requests to make this over and over. I especially like that this recipe doesn’t require that the squash be pre-roasted. Saves so much time and cleanup with sacrificing any flavour. I followed the directions exactly. The soup was delicious although a little thinner than I thought it would be. Next time I will add a cup less water. I used frozen cut up squash and maybe this is why it was not as thick. My husband and I loved this soup regardless. Great flavour in this soup, unusual but interesting combination. A little bit sweet for my tastes, even though I left out the sugar entirely. Maybe the squash and pepper were sweet enough alone. I’ve written before, in response to a comment made by another reviewer, but I want to say that I absolutely LOVE your butternut squash recipe! Came across it while searching food sites, and I am so glad that I clicked onto yours! The simple ingredients and prep make this recipe ideal, and I appreciate that it does not call for spices like nutmeg, cloves, etc. I have made it several times (and there is a pot on the stove right now, simmering for tonight’s dinner!). I don’t include the sugar, nor the cream. It is stellar without those ingredients. Those of us with stomach problems sincerely welcome simple, non-irritating recipes such as this one. Kudos to you! Really easy, tasty soup. I had a poblano pepper on hand so I used it in place of the bell pepper. Enjoyed the flavor it added. I think roasting the squash first may add more flavor, will try it next time. Thanks for the recipe, love your site!!! Really enjoyed this recipe! Substituted carrots for sugar, added some Indian spices and didn’t use the cream. It was fabulous and creamy without the fat. I did however sauté the vegetables with a bit of butter to start it all off. Will surely use this recipe a lot! Thank you! Can’t believe how easy and delicious this soup is! Thank you for sharing. 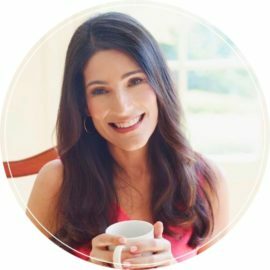 You are my go to website for recipes. You have never ever disappointed me. Thank you again! I made this Thanksgiving week to have on hand for weekend guests. Super easy, delicious and I even left out the cream for my non-dairy eating sister-in-law. I think she had two bowls! I made the soup with and without the bell pepper and it is very delicious both ways! I made this recipe as the starter of our Thanksgiving dinner. We had 3 families over and they all went for seconds. Super easy and stress free. Clean friendly. I had an Indian family over so I added a pinch of cardamom just for them to have a familiar taste and it was a hit. I don’t think there is a need to try other recipe and they all asked for the recipe. I made the cream cheese buiscuits you have as well to accompany the soup! As a chef, which immersion blender do you highly recommend? I am a first time clueless buyer. Too many options out there. Hi Mona, there are a lot of options out there! This is the one I use. This soup was amazing – I decided to leave out the sugar and add one cored and peeled red delicious apple to the water mix & added a hint of dry thyme to the soup mixture before serving. So happy with the results!! Yes Angela, it freezes nicely! If I am making this ahead of time (for Thanksgiving) I assume don’t add the cream before I freeze it? I don’t have heavy cream. Can I use full fat coconut cream instead? Hi Lisa, I’m not sure that coconut cream would work here, but full fat coconut milk would. Yum! This was excellent soup. The addition of heavy cream is spot on. I did grate approx 1/4 tip fresh nutmeg. Can you use half and half cream instead of heavy cream? Hi Judy, This recipe really needs the heavy cream, but you can use half and half in my Butternut Squash Sweet Potato Soup. Made the soup just like the recipe, but found it a bit bland, so next time I added a tablespoon of grated fresh ginger. Delicious. I haven’t tried the recipe yet but I plan to. My only concern is using sugar. I have diabetes. Is there a substitute I can use? Hi Lynn, you could just omit the sugar if necessary. (I also noticed in the comments section that some readers used a diced apple in place of sugar to add natural sweetness.) Enjoy! I was looking for a simple squash soup recipe and I found it! Kids loved it, simple ingredients. I searched for something without chicken broth added and also without tons of spices like nutmeg or cinnamon . I am keeping this recipe and will surely use it often. Never made butternut soup before. Recipe looked quick and easy. Wonderful result. Thank you. Hey made this and loved it – its so filling! it says its 186 calories a serving can you advise what a serving is ? Glad you liked it Jessica! Each serving is about 1 1/2 cups. Just another easy, fabulous tasting soup!!! Thanks Jenn! Excellent! Wouldn’t change s thing my kids and husband loved it and will make again. Looked watery at first but placed all ingredients into blender back into pot and finished with rewarming while adding heavy cream as directed. It was perfect!! Seemed like something was missing in this one, but still good. I followed this recipe exactly and this is so disappointing. I am now doctoring it up hoping to salvage it. So sorry you were disappointed with the soup Nancy. Was there something in particular that you didn’t like about it? I followed this recipe almost exactly. Instead of adding sugar, I added two peeled and cored sweet apples. I also added several twists from the black pepper grinder. Loved this recipe! It’s so basic, simple, and tasty. During the holidays up in the mountains, I didn’t have some of the ingredients but had others, so I had to be resourceful. I used fresh butternut squash and roasted it for 45 minutes because I had no peeler. I also roasted the red pepper, garlic, and 2.5 shallots (instead of an onion). Combined all the ingredients and used one can of vegetable broth and half the salt. For the sugar, I used half white sugar and half brown sugar. The heavy cream was definitely important. I knew this would be the only fat added to the recipe, so I did not roast the vegetables with olive oil. This recipe was such a great basic recipe that it could be modified without detracting from the taste. My family loved it! Did you omit the half the water for the vegetable broth or, use the 7 cups and the vegetable broth? Thanks, G from MD. Thank you for this wonderful recipe! I made this on Thanksgiving and it turned out great! I added 1/3 more of heavy cream. Yummy! I will definitely make this soup again! This is a wonderful butternut squash soup recipe! I have made it several times now and we love every version. I usually cut down the amount of ingredients as it makes a lot of soup. 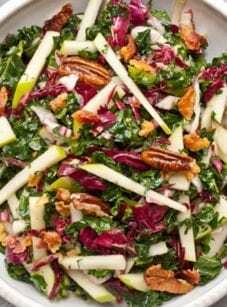 Some of my favorite changes are to add an apple during cooking, cut back the sugar a little, and add goat cheese during the blending process. YUM! I’m looking for a pumpkin soup recipe. Do you think this soup would still taste yummy if I substituted pumpkin for the butternut squash? PS Your recipes and site are awesome! Thanks, Jennifer. I do think that would work — pumpkin and squash are very similar. If you try it, please let me know how it turns out! Love butternut squash soup but was particularly pleased with the addition of the red pepper. Instead of garlic I minced a piece of peeled ginger – about a one inch chunk – and instead of sugar I chopped up two medium sized peeled apples and added them with the squash, onions, etc. Added fresh thyme leaves to the ingredients as they sauteed. Used chicken stock instead of water which gave the soup sufficient body that the cream was unnecessary. The apple added an additional layer of autumn flavour and the ginger provided a modicum of warming heat. Due to family health issues I substituted one envelope of Stevia for sugar. I used no salt as well as salt free butter. To add flavor I used thyme tea for part of the water, made by picking fresh thyme, rinsing it and then pouring 2C boiling water on it and letting it steep. The squash I washed, made a whole in it and nuked it in 1C of water until tender enough to remove the seeds and remove the peel. I used that water as well. My squash choice this time was buttercup and my pepper was a red banana. I will definitely make it again and appreciate the ease of your recipe. This recipe was truly delicious. I will be keeping this one to use on my kids as they get older. It didn’t even taste like I was eating pure vegetables! This is one of my favorite soups on your site. Not only was it easy, it was delicious. Due to a medical condition, I’m on a low sodium diet so I eliminated the salt and it was still so yummy! Can’t wait to make this again. This soup is creamty, rich and easy! The red pepper is a perfect accent to the squash. I used half chicken broth and half water and served it with toasted pumpkin seeds and a swirl of cream. It was a huge hit! Fast and FABULOUS! Especially good the next day after it mellows a bit. A new household favorite! How much is a serving? I am currently on weightwatchers, but want to make this recipe! Can i use an alternative to heavy cream? Hi Kim, The only other thing I might suggest is full fat coconut milk. If you try it, please let me know how it turns out. I used half and half and it was nice and creamy. I had never even eaten butternut squash until recently, i attend a family member wedding reception and it was served in a small round dish with a flaky crust top. It looked like I would be eating a pot pie. The dish was wonderful, so I set out to make it on my own. This was the best and easiest recipe I found and I tried three others. One I made it and share it with others they all wanted the recipe. It will be the start of my thanksgiving dinner this year. Thanks for sharing. Hi Krystina, I would just double it — you can freeze any leftovers. Is the Nutrition Information right? Per serving (6 servings) sounds like the Sodium 1191 mg and the Cholesterol 27 mg are really high. Hi Sandra, I just double checked and it is correct. Sorry! This recipe looks fantastic, but the sodium count is super high, any suggestions on how to lower? Thanks! Hi Angie, It’s fine to just reduce the salt. This came out great! I omitted the sugar and added an apple and carrot for sweetness. Also used chicken stock instead of water. I added a pinch of cayenne, cloves and apple pie spice at the end. This is going to make great lunches this week! How long does the soup have to simmer after you stir in the cream? Soup turned out a bit watery and wondering where I went wrong. Thanks. Hi Barb, Not long but feel free to simmer it down until it is thickened to your liking. Is there a substitute for the heavy cream for lactose intolerant people? I omitted the cream, opting instead to use half chicken stock (Imagine Free Range Low Sodium Chicken Broth (Organic); or try Pacific Organic which I believe is no sodium). Soup was creamy when pureed. Placed 4 sprigs of organic thyme into pot, stirred and left on low for thyme to release its flavor into the soup. My husband and I loved the soup. He is on sodium restricted diet, so I added only 1 tsp Fine Sea Salt. On my serving I lightly sprinkled a small pinch of Fleur de Sal (will try Maldon Salt next time), and it just made the flavors pop more for me. Served with homemade dinner rolls (one each!). I always cut the sodium in all recipes and things work out fine. This soup is as simple to make as promised. The flavor is great and it warms me up on a brisk fall day. This is a go to lunch with a green salad. Hi i wonder if u can help me i must make butternut sop for a wedding, 160 poeple! Can u help me to dubble the ing. And can i use milk instead of cream? Hi Cielie, You’d need to multiply the ingredients by 20. That’s a lot of soup! I would not substitute the cream with milk — it won’t work. Sorry! Easy Butternut soup was really easy. I used yellow instead of red pepper. Tastes amazing and really easy! I have tried several butternut squash soup recipes and yours is my keeper. This is the second time I’ve made this recipe and this time I changed it up slightly. Instead of adding the 2 Tbs of sugar, I chopped up a couple of carrots and an apple and added those to the pot. I also found that using the purée option on my blender is much easier for me than using the immersion blender. It is the perfect consistency and tastes wonderful. It was delicious, but I did a few things differently for lack of planning. I boiled the squash and red pepper in water with a little salt. When they were spft after simmering, I put them in the blender. After they were creamy, I added a tad of brown sugar and blended again. Then realized I had no cream, and added plain non-fat yogurt. Yum! The little sour kick os delicious! Not much needed in the mix, as each member in the family added a little more to their taste directly to their plate. Seriously awesome! Oh, by the way, I drained after simmering and only added less than a cup of water. It was all squash with the one red pepper. Consistency was creamy, thick even. Yummy! This is the first of youe recipes I have made and both my wife and myself enjoyed it however like many Noth American recipes and products we fond it overly sweet , our personal taste probably. Next time it will be with less sugar and maybe only six cups of water. Congratulations on an excellent site. Made this recipe as the weather in NY is still decently cold and wanted a nice healthy bowl of soup to cuddle up on the couch with! As far as squash soup, I prefer mine to be on the sweeter side, so for about every 1 1/2 cups of soup, I added 1/4 teaspoon of cinnamon and at the end an extra teaspoon of sugar. Additionally, instead of heavy creamer I used unsweetened almond milk and it helped lessen the taste of the pepper which seemed to be a bit overwhelming to me at first. I would definitely make this again for sure! My soup came out very lumpy. How can I make it a creamier consistency? Hi Alexandra, Just keep blending it; it takes a while to get smooth, especially using a stick blender. I just returned from surgery from a fractured jaw and came across this recipe while looking for liquid food recipes. I realized while I was cooking though that I forgot to buy onions 🙁 Will this make a huge difference to the flavour? Hi Bulelani, Unfortunately, yes, you need the onions. Sorry! So i was too tired to go back for the onions, I mad it anyway though and it still turned out pretty good. But the onions definitely would’ve made it perfect. By the way, the water left over from boiling, should you add it all in or just enough to get a decent consistency? I absolutely love the flavour of this soup and I am planning to serve it for Easter dinner for a crowd of 15. I wanted to know if I could make the soup ahead and then freeze it? If so, how long can it be frozen for without changing the taste or consistency?? Hi Hilary, It’s fine to make the soup now and freeze for Easter, however I would wait to add the cream until you defrost it. Forgot to add that I substituted Alpro Soya Cream as it was being served for a meat meal. (Kosher dietary rules). Thank you for this excellent recipe. I stumbled across it whilst browsing for a simple and speedy soup. It was served last week for the Purim festival feast and everyone loved it! Looking forward to now working through your extensive menus. Would love to make this soup but I cannot tolerate garlic is there a substitute I could use. Hi Gill, It’s fine to just leave it out. Would love to try this, but am astonished at the sodium count. Is it really this high? That’s pretty astronomical……. Hi Lina, Yes, there are 2,325 mg of sodium in one teaspoon of salt, and this soup has three. You can always cut back if you like, or replace the water with no salt vegetable or chicken broth, which would add flavor without the sodium. OMG!!!! So easy and so deicious! I can’t wait for my family to try it. I have a feeling that I will be making this soup for many years to come! I’m so happy that my husband requested Butternut Squash soup & I chose your recipe!!! This is one amazing butternut soup recipe. So easy and tasteful. Saved and will definitely be using ad making this again. Delicious SOUP! I doubled up on salt, garlic & added a tablespoon of grated ginger. This was delicious and I LOVE how the ingredients are super simple. I did add about 1/2 tsp of dried sage to the soup as well. Everyone loved it. Thank you. So good!!! Definitely 5 stars. Worth wrestling with the butternut squash. I definitely reccommend the immersion blender. Regular blender was über messy. I added some cooked shredded chicken just for some extra protein. This recipe worked very well for me, as I usually spend the usual 45 minutes roasting the squash. Having been in Nicaragua for a while now, where meat is the base of almost everything, I put a vegan twist on this, by adding a little more than a tablespoon of raw cashew butter in, and added some a few extra garlic cloves with some ginger and cayenne to taste. Delicious result. Can I use double cream? Hi Natalie, Yes, that’s fine. Since a battle with cancer 3 years ago my family and I switched to the Paleo diet. I made this more paleo friendly by dropping the salt, sugar and cream and it is still heavenly! It is creamy enough on its own. The red pepper adds just the perfect amount of sweetness and the onion and garlic are just right so no salt is needed. I used brown sugar and added 2 tablespoons of Irish butter. It was a big hit! Really good base for a soup, but could use some spice. I used half chicken stock added an extra half cup heavy cream and double-steeped a half cup of looseleaf herbal chai tea and it was amazing. First time making this soup. Yummy..I used all the veggies you called for !/2 chicken broth and !/2 water. Blended when it was done. Tasted it added 1 tablespoon more sugar and 1/2 teaspoon nutmeg and 1/2 cup whole milk Blended it again.. Ok after all that it is delicious and easy. Had the Squash already cubed from the store. Just adding a note to my previous comment: I sautéed the vegetables in olive oil first before using the hand-blender. I think it helps boost flavour. Great recipe! This squash soup has became the gold standard for me — I absolutely love it. I’ve made it twice and both times I’ve skipped the thyme to enjoy the purity of the squash. The red pepper is key, because it adds sweetness. The heavy cream is also key. It’s really nice to make a squash soup that isn’t overpowered with ginger or strong herbs, like most. Many commentators have noted the difficulty of prepping squash from scratch. The secret is an inexpensive gadget — a peeler — made by Kuhn Rikon. It looks like a basic peeler, but boy this thing has changed my life. I’ve tried others, but this peeler is amazing. It peels squash skin like nobody’s business (and, no, I don’t work for the company). Happy soup-ing everyone! Hope you can help. Saw your comment re Kuhn Rikon peeler and would like to try one. However, there are several styles available. Please let me know which style you find so agreeable. Thank you so much. Used chicken stock for 1/2 water and less salt, was really good. Warm, simple and healthy! This soup is so good! I used a hand blender stick instead of the blender and it came out great. So easy. 5 stars! excellent and easy. 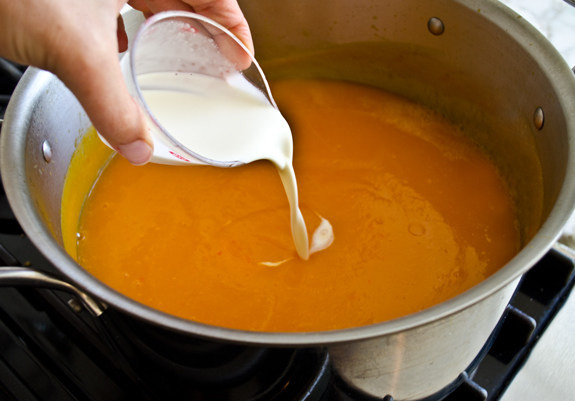 Hi Karen, This recipe really needs the heavy cream, but you can use half and half in my Butternut Squash Sweet Potato Soup recipe. This soup was a big hit with my family! I have made it a few times but this time I used the pre-cut squash which made it so much easier. I had to ask the produce guy if they carried the pre-cut squash because it was not out. He went to the back and sure enough they had it! Ask if you don’t see it! I love this recipe …… and instead of sugar I add 1/3 cup honey . I also boil the vegetables in 1 container of chicken stock and 1 container of chicken broth and then just scoop out vegetables to puree them!! I need to make this soup for 12 people – should I just double all the ingredients or is there some I should hold back on? Hi Ali, Yes, just double everything. this was delicious! I was out of heavy cream but sauteed the onions and garlic in butter first and then added 1% milk and it tasted amazing. Sorry you didn’t enjoy it, Djamila. I’m wondering, did you add the entire amount of salt and cream? Because the recipe is so simple, nothing can be omitted. So easy and so good. I just used chicken broth instead of water. Hi Jean, Do you mean the skin? How can I lower the sodium amount in this soup? Hi Shell, It’s fine to cut back on the salt. To add flavor, you might try replacing the water with vegetable or chicken broth. Can you make the soup in advance – make in the morning for evening dinner? Is it possible to use canned coconut milk? Hi Cherie, Yes I think that would work, as long as it is full fat coconut milk. I have just finished simmering down a meaty ham bone. Is there a way I could incorporate this lovely stock into your recipe? Hi Christine, I think that would be delicious; just replace all or part of the water with the stock. Any idea what a serving consists of? Hi Gwendolyn, Sorry I can’t give exact amounts but one serving is a standard bowlful. I entered the recipe directly to MyFitnessPal and it came up with a different nutritional information chart. 346 calories versus your 146. Why is that? Both were for 1 out of 6 servings.It’s delicious and I would definitely make it again but I do need the information to be right for my diet. Hi Coosje, Not sure. I thought maybe I had a typo but just double checked and the info is accurate according to Edamam.com, the service I use to calculate nutritional data. I added a 1/2 cup of cashews into the pot with the vegetables. Then put everything in blender; completely omitted the heavy cream. The soup came out great! Could you add apple for additional taste? Hi Michelle, Yes, I think that would work well. I added some bacon pieces to this soup for a little extra crunch. It was wonderful! Very filling and great for those cold winter nights. Such a simple soup to make. Everyone loved it. I make it all the time now. Great having the squash already cubed!!! Made the soup and added a bit of mushrooms will that have an effect on the butternut…??? Hyrene, As long as you like that flavor combination, it should be fine; might just change the color a bit. I made this butternut squash recipe and all I have to say is DELICIOUS! 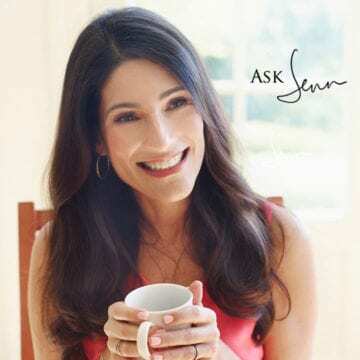 Thank you……..
Hi Jenn, i would like to try the soup, but can I use low fat cream cheese instead of heavy cream? I used coconut cream in place of heavy cream and added marjoram and thyme. Came out pretty good. Thanks ! This is absolutely the BEST soup! I have made this 5 times already! My friends adore this and ask for it! The only thing I add is a few shakes of good curry. Hi Dylan, You buy it raw and it cooks with the rest of the vegetables. Hi Andrew, Unfortunately, because the soup is so simple, I think it might be very bland without the onion. This soup was fantastic! So delicious! – and yes, not difficult – Thank you for the recipe! Hi Sandy, Just simmer it on the stove and it will thicken up nicely. It also thickens as it sits in the fridge so if you aren’t serving it right away, you might want to hold off. Thank you!! Soup is really good!!! Happy Thanksgiving! Hi, could I make the soup today ( Sunday) for thanksgiving? Or do I need to make later this week…. Hi Sandy, It freezes beautifully so you can make it today and freeze it. Defrost it in the fridge on Wednesday and you’ll be good to go! What can I use instead of heavy cream to make this dairy free? Hi Eliana, The only thing I can think of is full fat coconut milk — it you try it, you might want to add a bit of fresh ginger or curry powder…both would be nice! Hi, I am not a huge fan of red peppers. Does it have a strong flavor in the soup. Can I omit it from the recipe or will it not work. It was decent, but wouldn’t make again. There just wasn’t enough flavor for my linking (my husband commented that “It tastes like vegetables.” I think it would be better if the onions and red peppers had been caramelized. 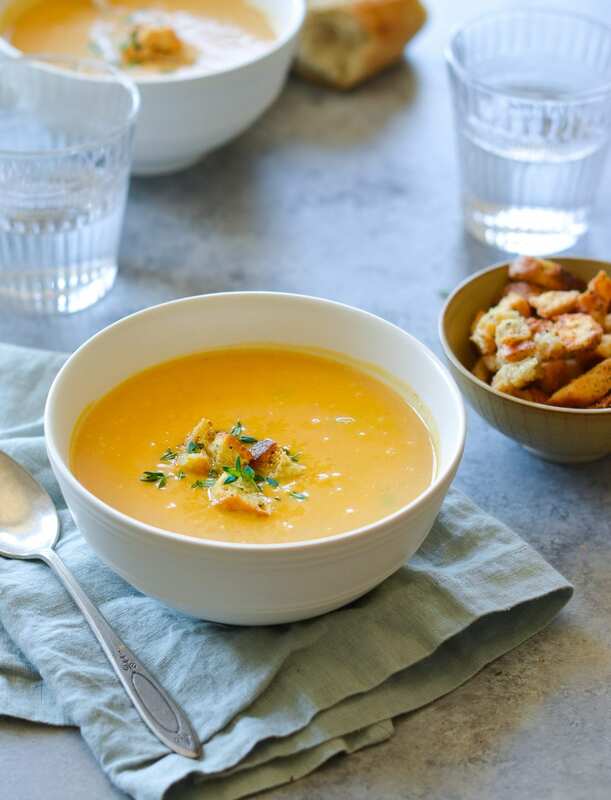 Try her Autumn Carrot and Sweet Potato Soup or Butternut Squash and Sweet Potato Soup recipes, which are both FANTASTIC! Hi Adora, I’m sorry you found the soup a little bland. I’m wondering, did you add all the cream that the recipe calls for? I’ve already made this twice within the last few weeks. My husband loves it! I did modify it to half water half chicken stock. It was just a guess that it would have more richness that way. The last batch I indulged a bit and I put a dollop of cold sour cream on top. So yummy. Will definitely be a go to favorite for Fall. This was an easy recipe to throw together for a week night meal. It was very tasty but my soup was not as thick as I would have liked it. Next time I will cut back on the amount of water and adjust after I puree it to our desired thickness. As she says, this is a really easy recipe. Delicious and a great way to use up that squash. I bake the whole squash for about 45 minutes at 350 degrees. Let it cool and then the skin comes off so easily. Otherwise I find it a real pain to remove the peel when squash is raw. Then proceed as recipe states. I used chicken broth instead of water and added some nutmeg. I also used 1% milk and it turned out so delicious. I am making my second batch today! thanks for the great recipe! This was so easy and yummy. I added a touch of heat with some Aleppo red pepper flakes and it really enhanced the flavor. Just made my first butternut squash soup and it turned out fantastic. I added some grated fresh ginger . Made this for dinner this evening and it was divine! Hi Kathleen, If you’d like to freeze the soup, I’d leave out the cream and then add it when you defrost and reheat it. Jenn,,,can this soup be made ahead…like a day? absolutely…you can make it several days ahead. I am going to try full fat coconut milk as a substitute for the cream. I was just roasting butternut last night and thinking ” I wonder in Jenn has a butternut soup recipe” and here it is! Can’t wait to try it. Your recipes are amazing! These squash are a challenge to cut/peel, I follow Ina’s directions to cut safely. This sounds so good. Do you have the nutrtional breakdown per serving? Does the squash need to be peeled? I’m assuming so. Novice sitting here. Thank you! Hi Lorena, If you buy the squash pre-cut from the supermarket (most supermarkets sell it that way) you do not need to peel it. It’s ready to cook. However, if you buy a whole butternut squash you’ll definitely need to peel it. I make mine without red bell pepper, I just add nutmeg and a few springs of cilantro. Delicious and simple. Could you use fat free half-and-half or Greek yogurt in place of the heavy cream? I usually have those and every other ingredient on hand. Hi David, I’d stick with the heavy cream in this recipe. Because the onions and garlic are not sautéed in butter first, the cream is the only fat in the whole recipe. You’ll see, before you add it the soup tastes a bit like baby food. But once it goes in, the soup is perfect. Looks delish! About how many cups of squash if you are cutting your own? Hi Shari, It’s about 7-8 cups. Could you use chicken broth for a richer broth? Hi Sally, Absolutely but I’d cut the salt in half. There’s a lot of salt in the recipe because the liquid is water. You can always add more at the end if it’s bland.